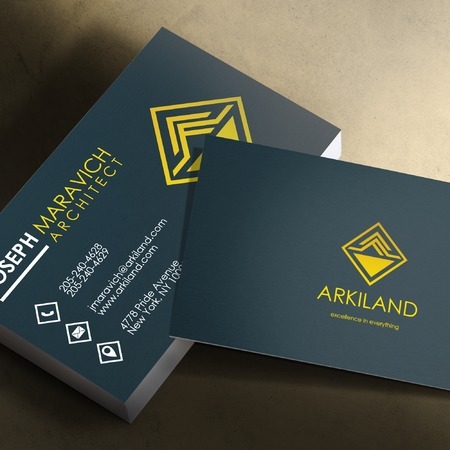 Who doesn't want to make a good first impression with their business cards? Silk business card printing is the easiest way to do just that. Silk business cards are created by laminating premium 16 pt. cardstock with a thin layer of plastic. Once applied, this layer mimics the premium look and texture of silk, while adding water-resistance and durability to your business cards. The memorability, longevity, and luxurious vibe of these cards ensures they'll be your best custom business cards yet. Silk business cards can be ordered in a wide range of sizes from 1.5" x 3.5" to 3.5" x 4", including the standard 2" x 3.5" size. This lets you create conventionally-sized cards as well as slim, square, and oversized silk business cards. Spot UV can be added on one or both sides of your card for an extra bit of shimmer that makes logos and contact details pop. Rounded corners can also be added to custom silk business cards for a stylish look. You can also add rounded corners to your hang tags, which prevents snagging and makes them a good choice for clothes with delicate fabrics. Silk laminated business cards are in demand with businesses who want to exude luxury branding. They’re also a good for anyone who wants unique, long-lasting personal cards. Other popular uses for custom silk business cards include durable flash cards and even giveaways. Print silk business cards today.